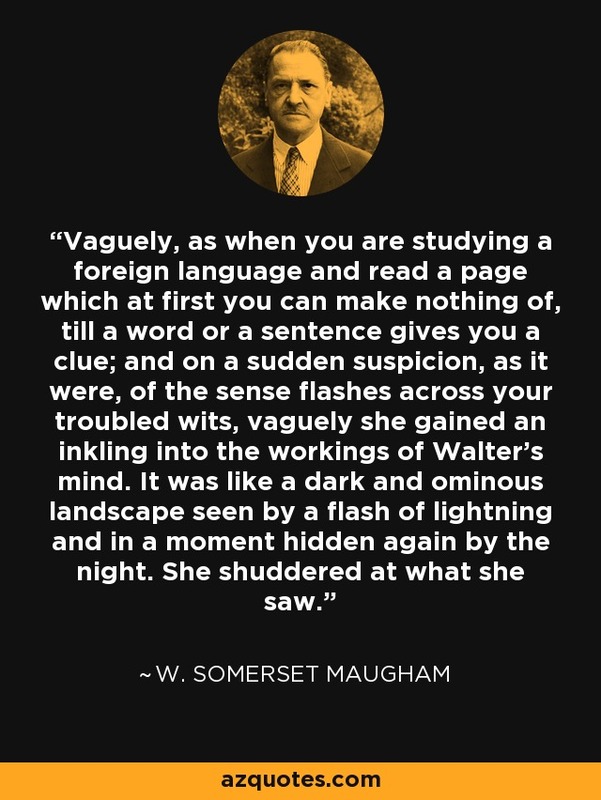 Vaguely, as when you are studying a foreign language and read a page which at first you can make nothing of, till a word or a sentence gives you a clue; and on a sudden suspicion, as it were, of the sense flashes across your troubled wits, vaguely she gained an inkling into the workings of Walter's mind. It was like a dark and ominous landscape seen by a flash of lightning and in a moment hidden again by the night. She shuddered at what she saw.